Greece is one of the top travel destinations in the world. 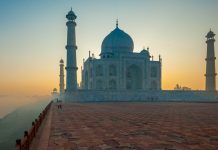 With a rich history and culture, breathtaking islands, delicious food, age-old monuments and ancient sites, it’s easy to see why. There are lots of amazing things to do in Greece. 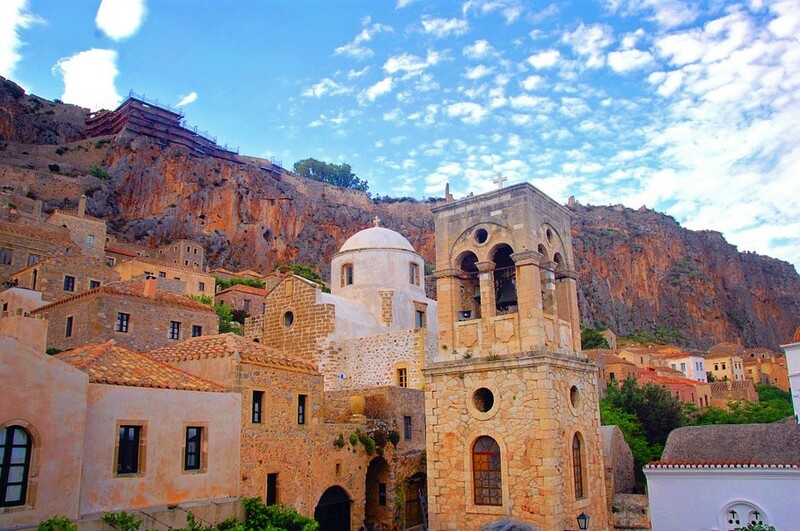 Said to be the birthplace of western civilization, Greece has a rich variety of diverse landscapes. 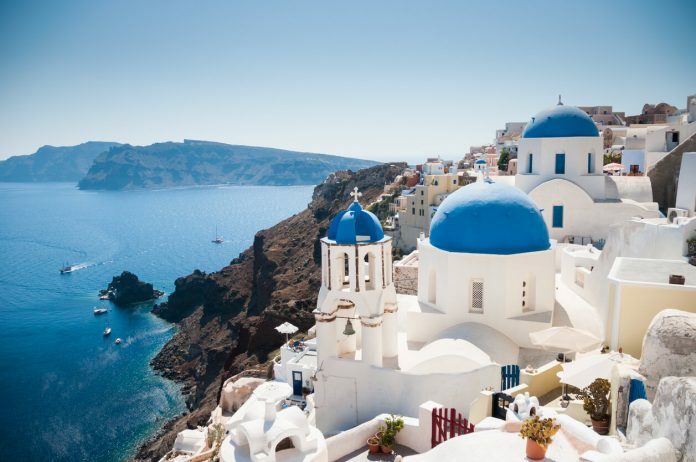 From beaches to mountains, and vibrant cities to serene islands, Greece has something for everyone. 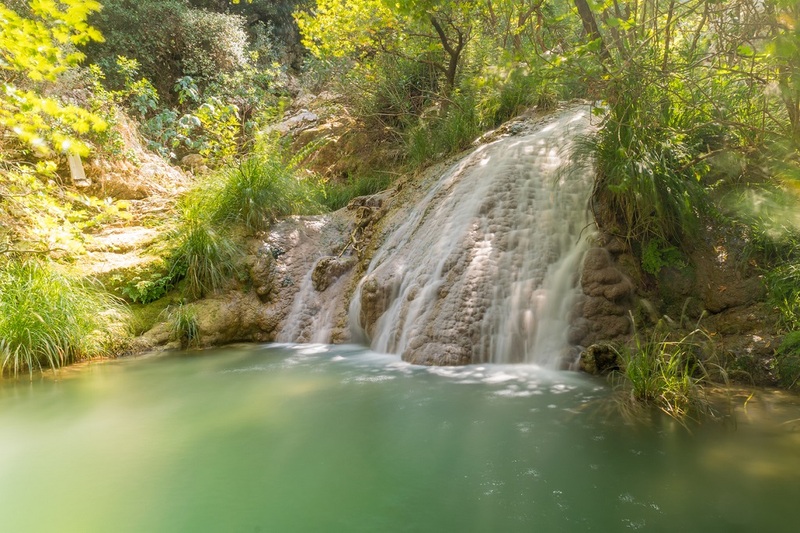 There are also lots of parks and natural attractions that make any visit to Greece truly unique. Most people get to Greece by air. There are several international airports in the country, the largest is Athens’ Elefthérios Venizélos International Airport. There are others at Heraklion in Crete, Rhodes, Santorini, and Thessaloniki. The country’s national airline (Aegean Airlines and its subsidiary, Olympic Air) have flights to destinations across Europe, as well as other nearby destinations. 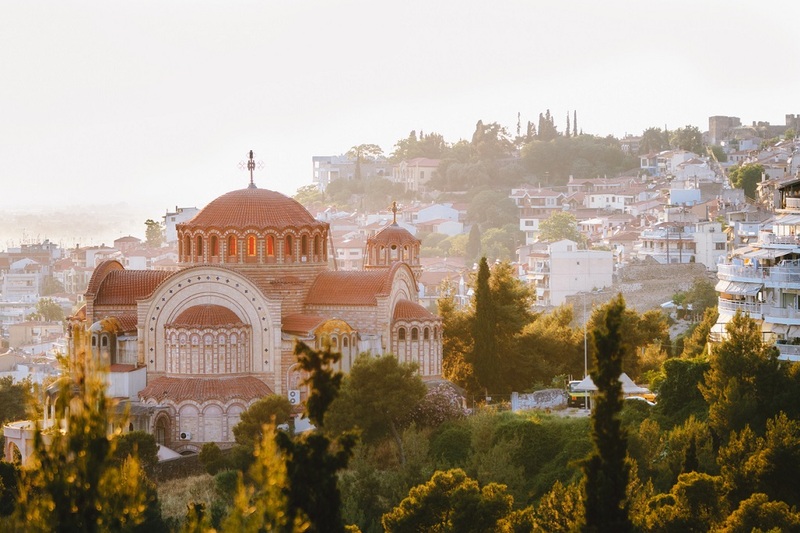 However, if you’re visiting from outside Europe, consider taking a cheap flight to a European hub (like London, Berlin or Paris) and then taking a charter airline (like such as or SkyEurope) to Greece, as they have some of the cheapest tickets between Europe and the rest of Europe. Just keep in mind that a departure tax will be included in the price of your ticket. Several ferries arrive at Greece each day from many destinations in Italy and Turkey, as well as from Alexandria in Egypt, Cyprus, and Haifa in Israel. They can get quite crowded, especially in summer (between July and August). You can read more about ferry routes and schedules here. Remember that departures often have a port tax of around €10. 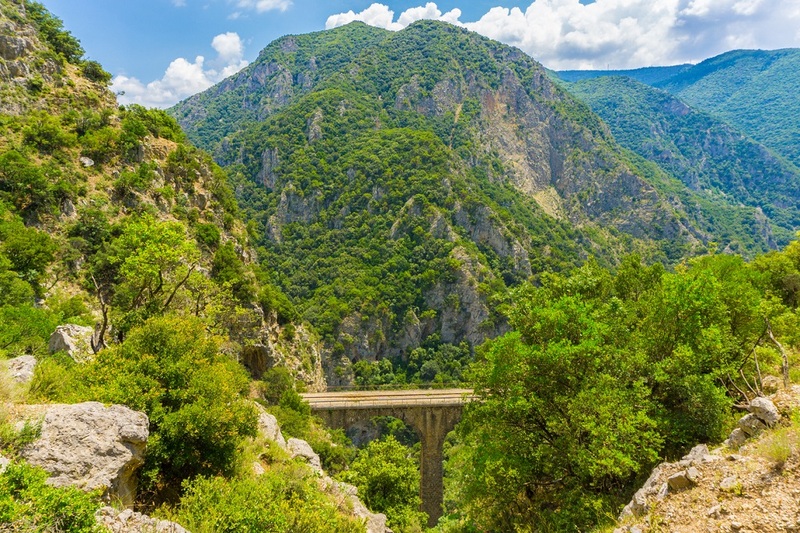 You can enter Greece by road from any of the neighbouring countries in the Balkan Peninsula, as well as through Italy (using a ferry to transport the vehicle). If you’re planning to drive, just be sure to have all your visas in order before crossing any land borders. There are also various international bus services between nearby countries (especially Albania, Bulgaria, and Turkey), and most arrive at Thessaloniki. Greece is part of the Eurail network which connects it to numerous countries. You can also use the OSE which operates regular trains between Thessaloniki and Sofia, Skopje and Belgrade. Greece has an extensive network of domestic flights around the country. Most are operated by Aegean Airlines, and various other Greek carriers. Just remember that baggage allowance on domestic flights can vary quite differently from international ones. With so many islands, Greece has an extensive network of ferries. However, they can face frequent and unpredictable delays due to poor weather and rough seas. There are both regular “slow” boats, and much quicker “fast ferries”. There are many domestic ferry operators, though their routes and fares tend to vary, though they are usually less expensive than flights. You can check out a ferry schedule here. Ferries are usually quite regular in the peak summer months, though they are quite infrequent in the winter months. Experienced sailors can also rent their own yacht to sail around the islands. 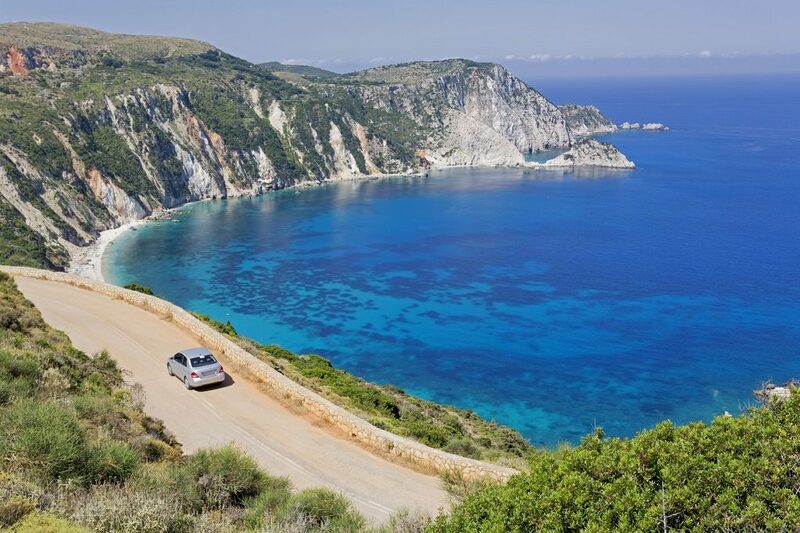 Exploring Greece by car can be quite beautiful, as its landscapes and coastlines are quite breathtaking. However, its roads leave something to be desired. While the main highways are usually well-marked and well-maintained, Greek drivers tend to drive aggressively, though it has improved in recent years. If you plan to drive yourself, whether by car or motorcycle, be sure to obtain an up-to-date map and keep in mind that tolls on roads can be quite expensive. Be sure to check your driving permits, and to get insurance. Most Greek destinations also have widely available taxis (except perhaps the smaller and more remote islands). 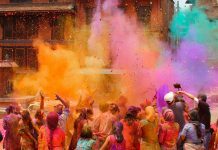 While they are usually reasonably priced, most will not take more than three people at a time as they are quite small. Be sure to ask the fare before you get in, and to ask about additional costs for luggage. Also, be wary of overcharging taxis, especially in Athens. Intercity buses are a popular way to travel, as every prefecture is connected to the KTEL network that connects it main towns, as well as frequent connections to Athens. Even some of the islands close to the mainland (such as Corfu, Kefalonia and Zakynthos) can be reached by bus, with the ferry fare included. All major towns also have excellent local buses, though smaller towns are best explored on foot. Domestic trains are operated by the OSE, though the network is quite limited often due to the difficult terrain. There are two types of trains, regular ones that stop at all stations, and faster (and more comfortable) intercity trains that link major cities. Due to the recent economic crisis, trains can be quite expensive, though prices and schedules are also quite changeable. The capital of Greece is also one of its most fascinating destinations. 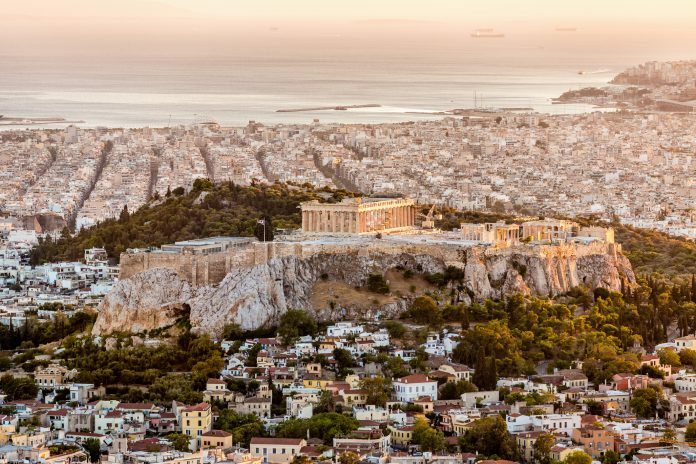 It is home to the famous Acropolis atop its sacred rock, with its many monuments (including the Parthenon, the Temple of Athena, Nike and the Erectheion), as well as the Athenian Agora, the historic Plaka district, and countless amazing museums. The city is also a great gateway to exploring all the amazing islands nearby. 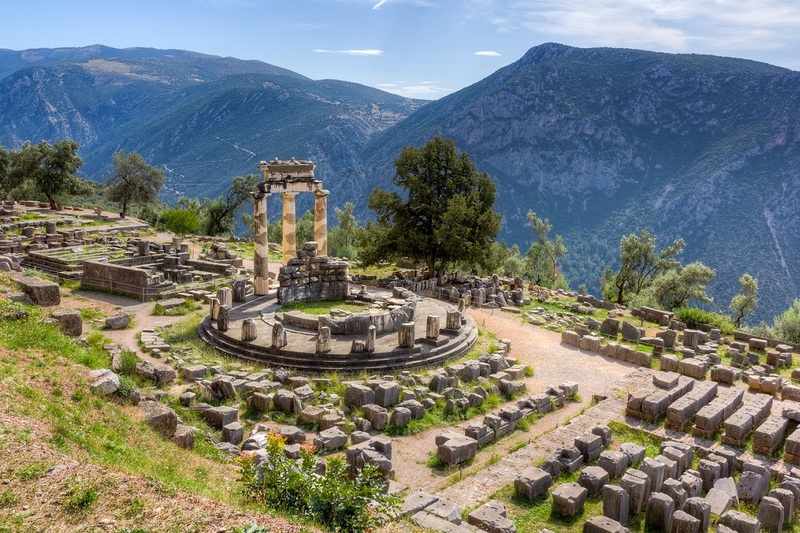 Considered a sacred site by the ancient Greeks, Delphi was once thought to be the centre of the world, and home to priestesses and oracles of Apollo. The mystical sanctuary at the foot of Mount Parnassos is one of the most fascinating archaeological sites in Greece. These include an ancient theatre, the Temple of Apollo, the Stoa of the Athenians, a hippodrome, a stadium and a gymnasium. This site in the western Peloponnese was the site of the ancient Olympic Games, held every four years beginning in 776 B.C. to honour Zeus. 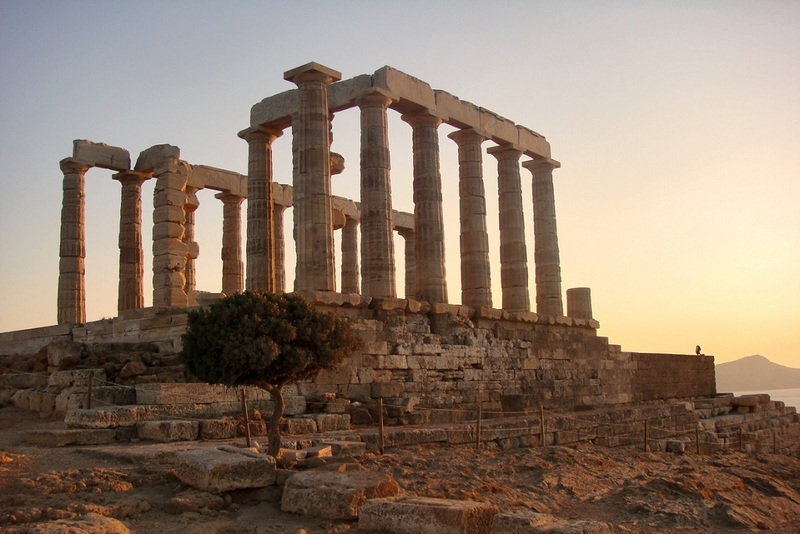 Its Altis – or sanctuary to the gods – has lots of masterpieces from the ancient Greek world. You can also visit the temples of Zeus and Hera, the ancient stadium, the gymnasium, and the workshop of ancient Greece sculptor Phidias. The Cyclades Islands are among the most popular in Greece. 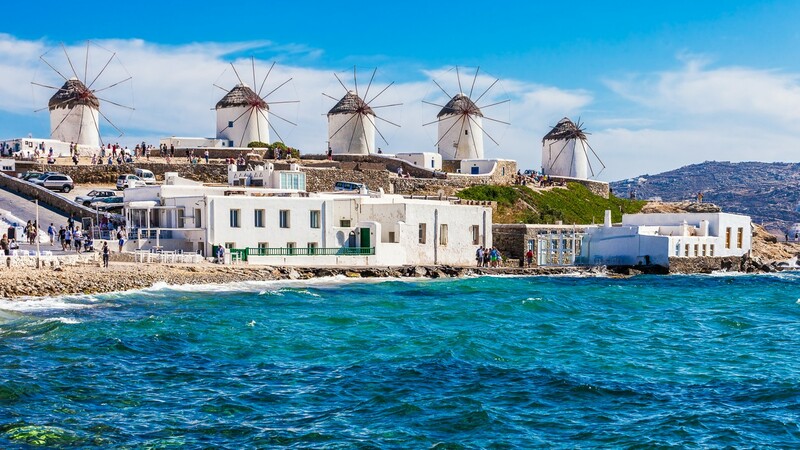 It has over 50 islands, and among them are Santorini, Mykonos, Delos, Ios, Paros, Naxos, Milos, Serifos and Syros. 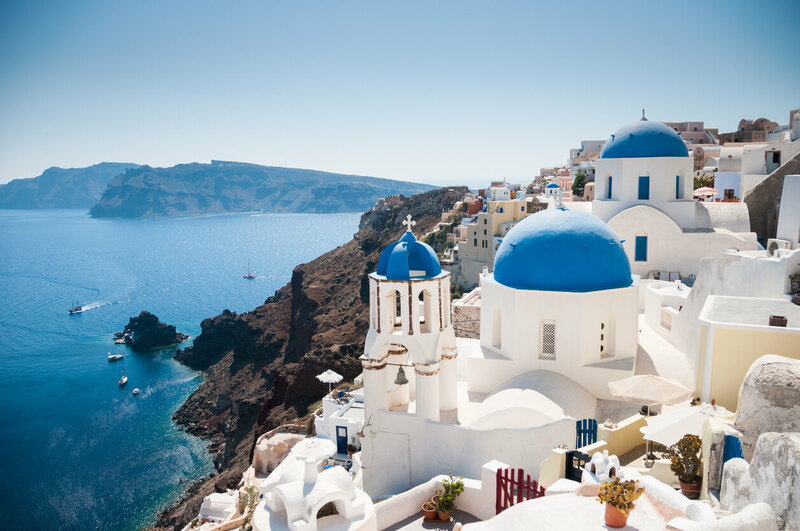 Santorini, perhaps the most iconic of these, is known for its picturesque villages, and its spectacular volcanic scenery and caldera, while the equally popular Mykonos is a popular party destination and has beaches, bars and restaurants. According to legend, Delos is where Apollo and Artemis were born to Leto and was sacred to the ancient Greeks. Today, it is an open-air museum. Located close to the picturesque town of Nafplio, Epidaurus is the archaeological site of the Sanctuary of God Asclepius. 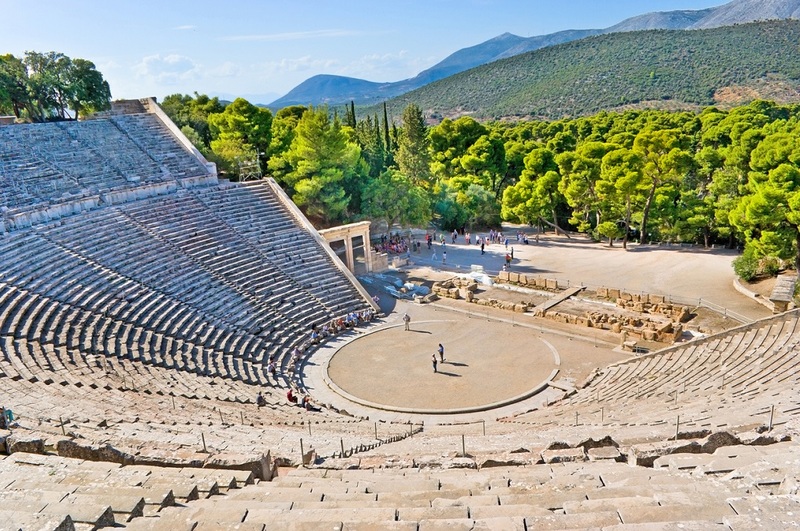 It is known for its ancient theatre, that was built in the late 4th century BC to host religious ceremonies in honour of Asclepius (the god of medicine) and is still in use today. The site is also home to temples and hospital buildings devoted to its healing gods. The largest of the many Greek Islands, Crete was once home to the ancient Minoan Civilization. 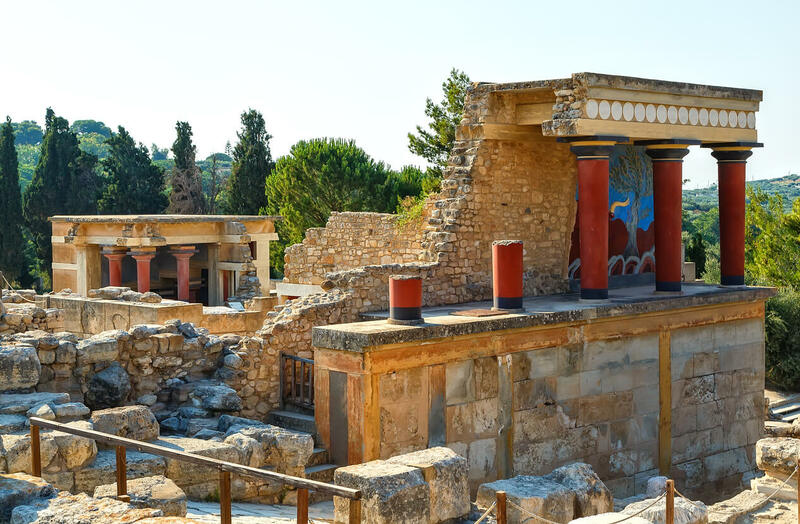 Be sure to visit the Minoan Palace of Knossos near the town of Heraklion, as well as the Palace at Phaistos near Sivas. The civilization was wiped out by a series of earthquakes, then an eruption of the Santorini volcano in 1450 BC, the same one that ruined Akrotiri. The island is also home to the Samaria National Park, and the amazing Samaria Gorge, the longest in Europe. You can also see many newer palaces, churches, and monasteries (such as the Venetian Koules Fortress and Chrissokalitissa and Arkadi Monasteries) around the island. 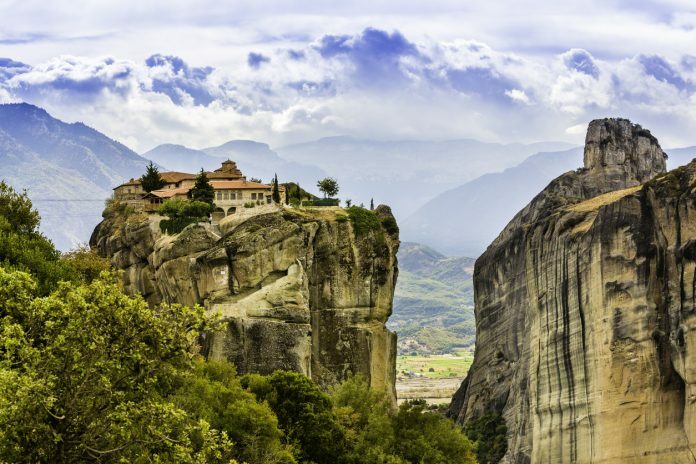 Located in Thessaly, in central Greece, the immense unique natural pillars of Meteora (which means suspended in the air) are also home to one of the most spectacular Eastern Orthodox Byzantine monastery complexes. They are perched atop the huge boulders and rock formations. The area is also perfect for outdoor activities such as rock climbing, hiking and kayaking. The far-flung Dodecanese Islands are incredibly close to the Turkish coast and have a strong Ottoman influence. There are over 160 islands, though only a few of them are inhabited. These include Rhodes, the largest of the islands, as well as Kos, Kalymnos, Patmos, Leros, Halki, Symi, Lipsi, Pserimos, Tilos, and Nisyros. 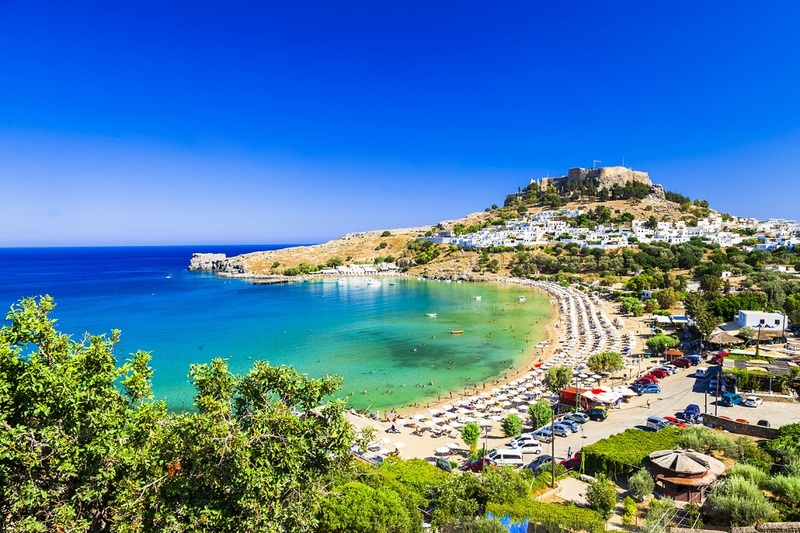 The historic Rhodes was once home to the Knights of St. John in the 14th century, and its old town is a UNESCO site, while Patmos is said to be where St John himself was inspired to write the Book of Apocalypse. Located in the Epirus region of north-western Greece, the stunning Vikos – Aoös National Park is spread over an area of over 12,600 hectares. Established in 1973, the park is full of amazing gorges, caves, rivers, lakes, and forests. It is also home to deer, wolves, and bears. The park is the perfect place for outdoor activities such as hiking, climbing, mountain biking, rafting and kayaking. The second largest city in Greece, Thessaloniki is a major hub to the north of the country. Said to be one the first bases for the spread of Christianity it is home to many beautiful Byzantine buildings and churches. 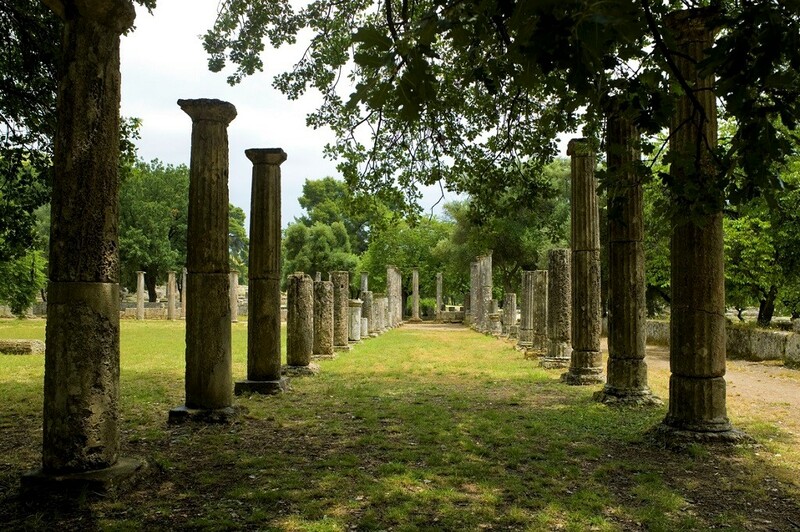 It also has many amazing Roman monuments such as the Arch of Galerius and the 4th-century Rotunda. 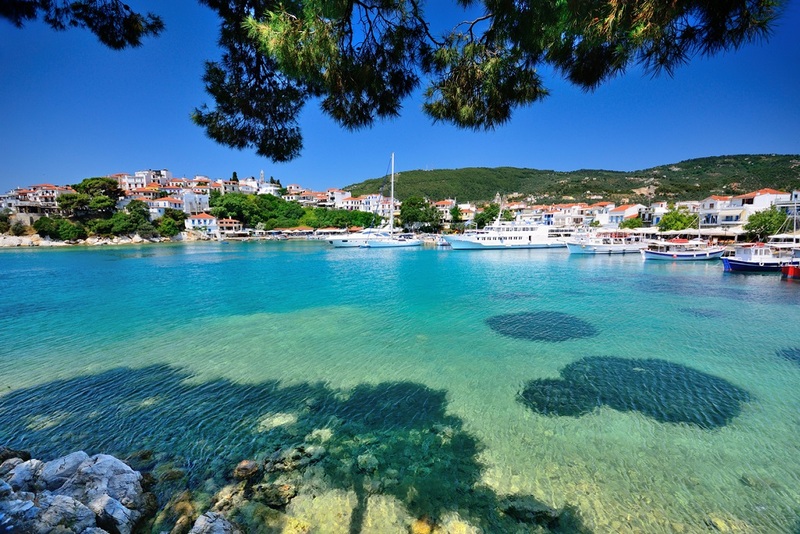 The city is also close to the charming villages of Macedonia and the northern Aegean islands. 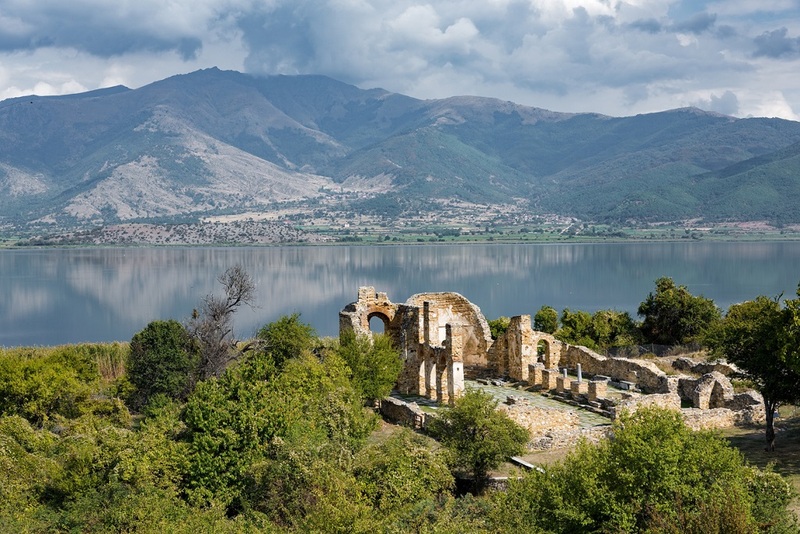 Prespa National Park in the Florina region is home to the wonderful lakes of Mikri and Megali Prespa. 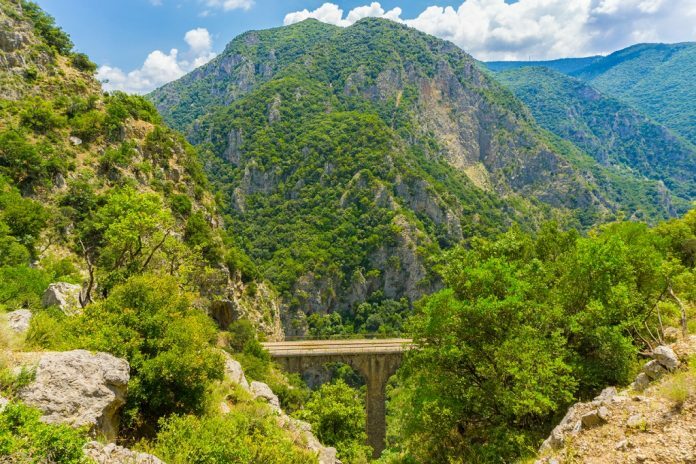 Enclosed by imposing mountains, they sit between Greece and Albania and are home to a diverse range of bird and fish species. The region is the perfect destination for those looking for a quiet getaway, or for bird watching aficionados. The Ionian Sea is to the north of the mainland and is home to around 25 islands. 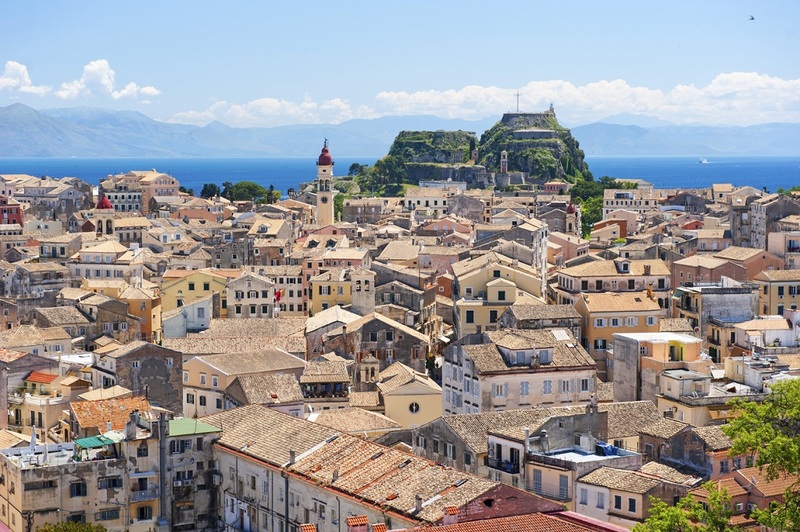 One of the most well known is Corfu, which is just off the coast of Albania. It is home to a picturesque Old Town as well as charming villages and astonishing beaches. Kefalonia to its south is also known for its splendid beaches, as well as lush forests and the Melissani Cave with its underground lake. Further to the south is Zakynthos (or Zante), which is known for its natural beauty, and the Zakynthos National Marine Park. You can also visit the other Ionian Islands – Ithaca, Paxi, Meganissi, and more. This fortified town on Mount Taygetos in the Peloponnese is located near the town of Sparti. 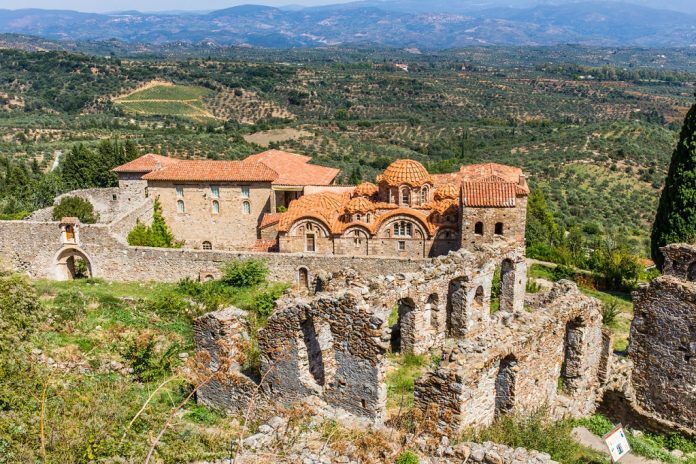 Mystras (or Mistras) was once a powerful Byzantine city. Today, the fortified old town and its palace are known for their amazing beautiful Byzantine churches with striking frescoes, as well as the amazing nature around it. The newer area of the town is also extremely picturesque, with traditional houses and charming squares. Located near the ancient sites of Delphi and Arachova, Mount Parnassos is best known for its ski resorts. The surrounding national park covers an area of over 14,570 hectares. It is home to a diverse range of flora and fauna. It is also a popular destination for mountain biking and hiking. This picturesque coastal town in the Peloponnese is a popular weekend destination from Athens. 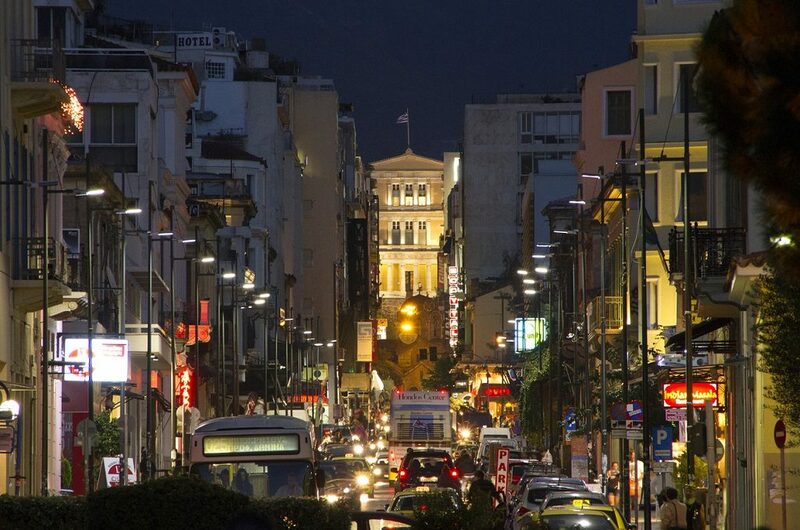 It was the first capital of the modern Greek State in 1828 after it gained its independence from the Ottoman Empire until Athens took over in 1834. Its narrow streets are filled with charming neoclassical mansions covered with hanging plants and flowers, as well as hidden churches and cafés. You can also visit the 18th-century Palamidi Fortress. Located close to Athens, the Argosaronic islands are a perfect quick escape from the city. 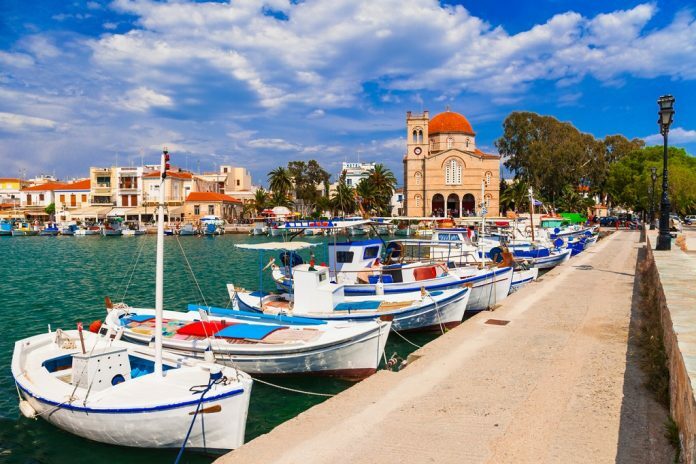 The main islands are Aegina, Agistri, Poros, Methana, Salamis, Hydra and Spetses. Salmis is the site of the ancient Greek naval victory over the Persians, and most of the other islands have a collection of charming beaches and holiday homes. 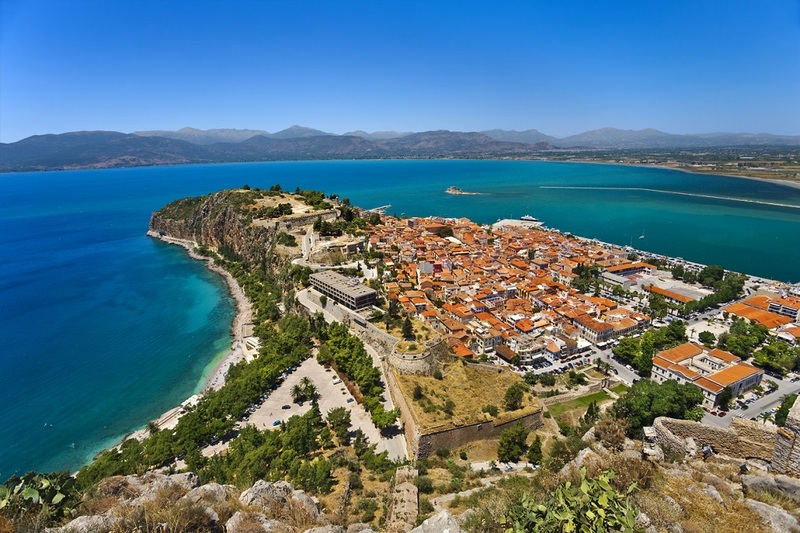 The region of Polylimnio is one of Peloponnese’s best-kept secrets. Located near the coastal town of Kalamata, it is full of amazing lakes and waterfalls, as well as lush green forests and narrow gorges. However, most of the region can only be accessed through some long hikes, but they are definitely worth the trip. Bassae is an archaeological site in the village Oichalia. 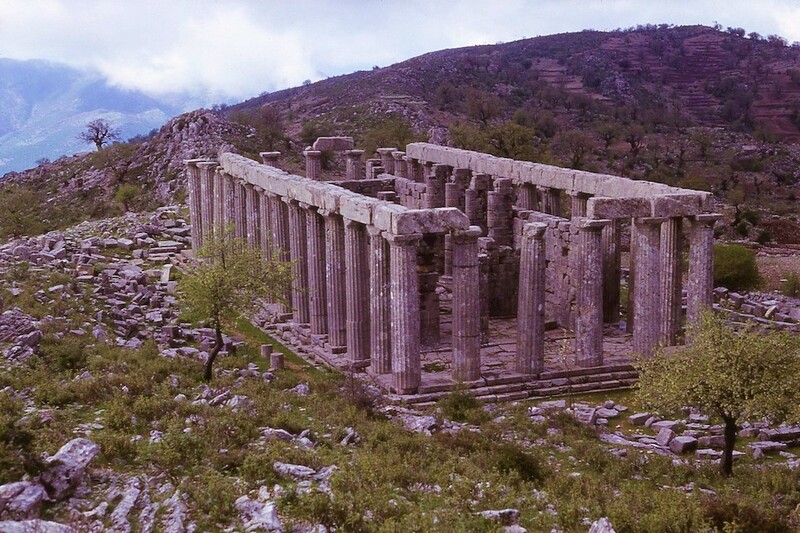 Once part of the ancient region of Arcadia, it is home to the majestic Temple of Apollo Epicurius. Built in the 5th century BC, it is somewhat removed from other major ancient Greek sites but is remarkably well-preserved. Many of its frieze sculptures can be found in the British Museum in London. 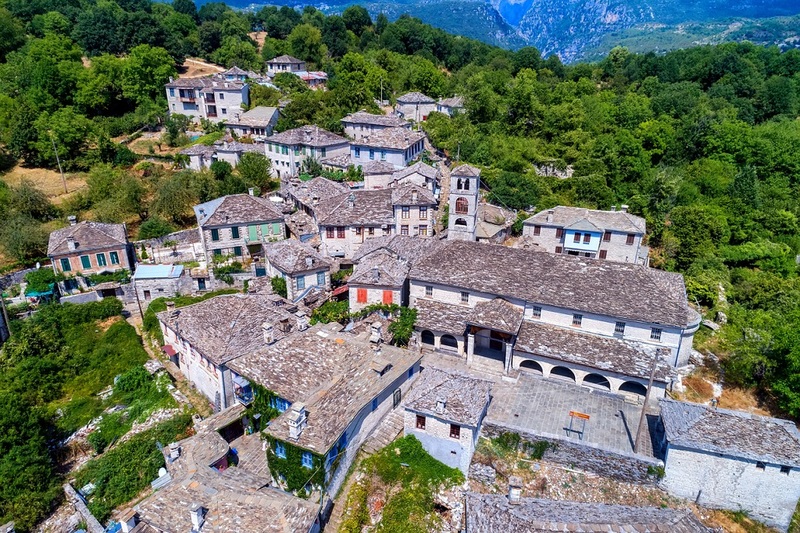 Tucked away in the Pindus Mountains in Epirus, the isolated Zagori region is home to a group of stone villages, collectively known as Zagorohoria. They are surrounded by breathtaking landscapes, and the region is a popular destination for hiking, paragliding, mountain biking and rafting. 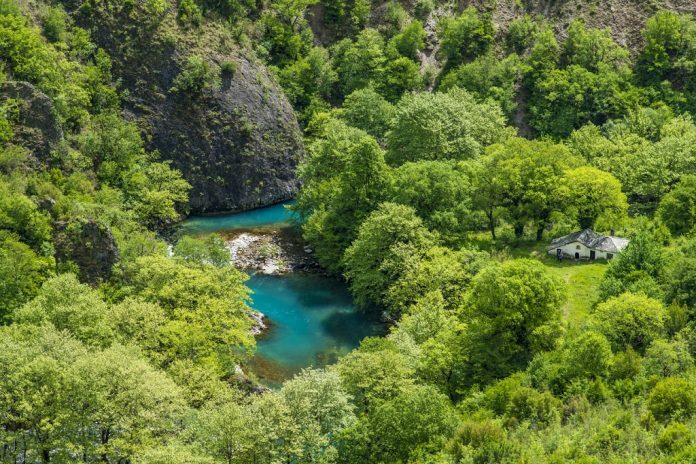 You can also visit the nearby Vikos Gorge, one of the deepest in the world. The Sporades Islands are located off the eastern coast of mainland Greece. 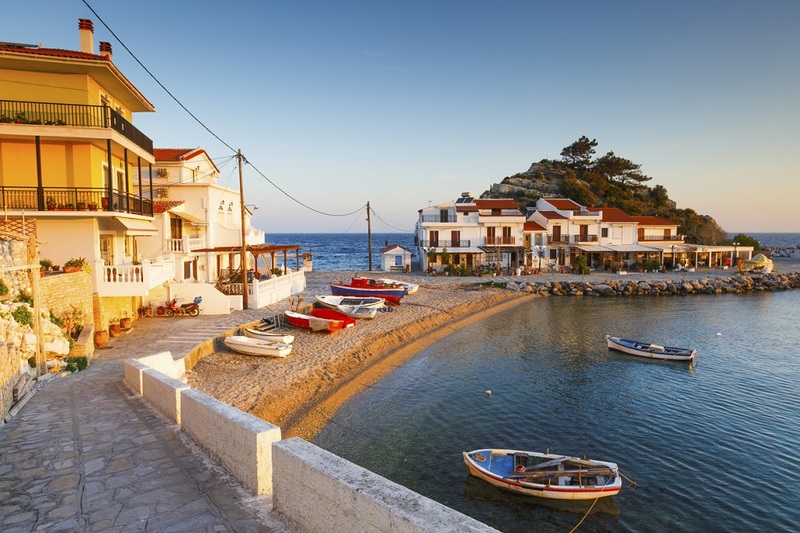 Of its eleven islands, only four are permanently inhabited – Skyros, Skopelos, Alonissos and Skiathos. 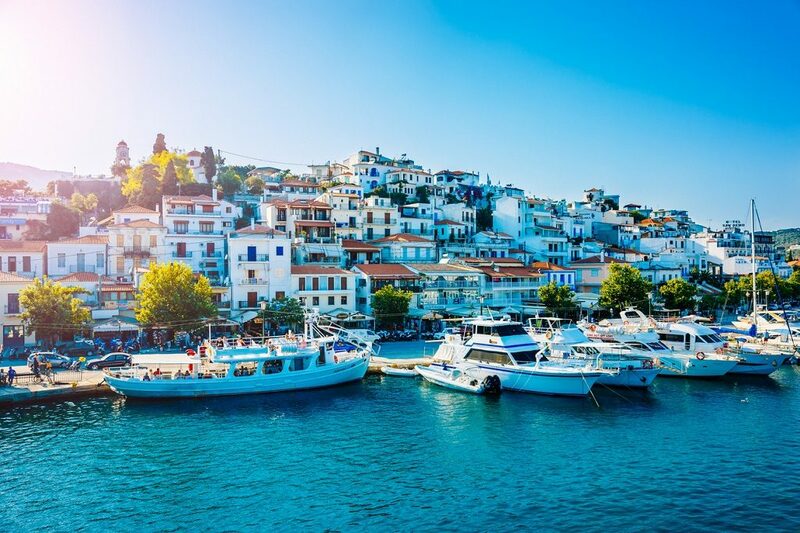 Skiathos is the most popular of these, with its many sandy beaches, but all the islands have regular ferries to and from them. The sea around these islands is a part of the Alonissos Marine Park, which protects the endangered Mediterranean monk seal and other wild animals. 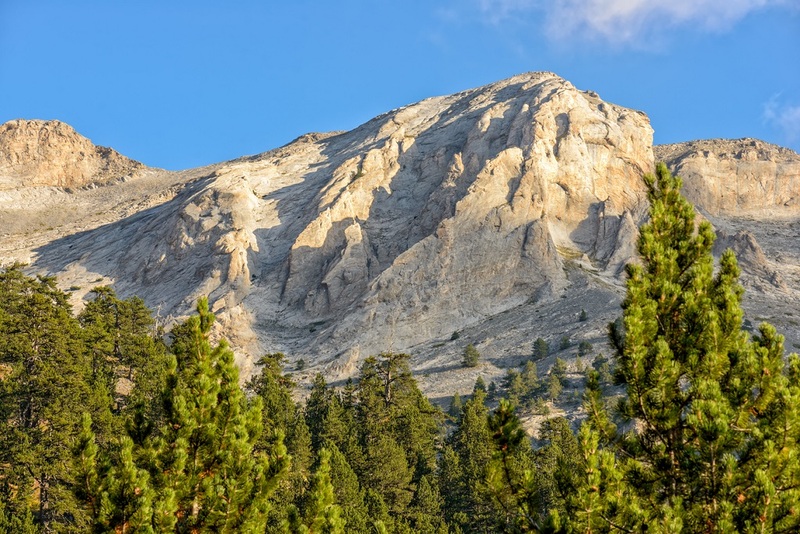 The mythological home of the gods, Mount Olympus is both ecological and historical. 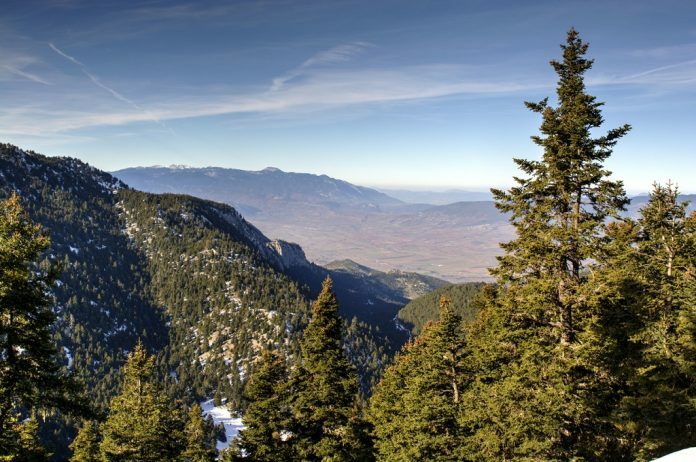 It is surrounded by the Mount Olympus National Park, which is a natural habitat for a wide variety of fauna and flora. Its thick forests and deep gorges are quite popular with climbers and hikers. 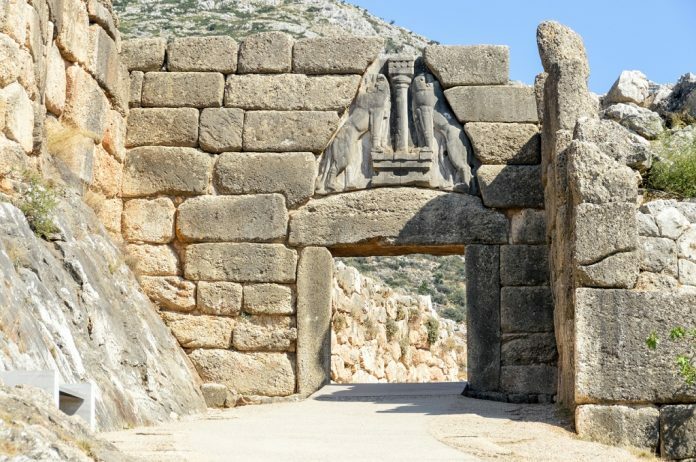 Mycenae and Tiryns are home to a series of ruins that once formed some of the two greatest cities of the Mycenaean civilization that flourished from the 15th to the 12th century BC. Located in north-eastern Peloponnese, they are home to many amazing archaeological sites, including the Lion Gate, a citadel, the Treasury of Atreus, and the Tombs of Clytemnestra and Aegisthus. Located near Athens, at the southernmost tip of the Attica peninsula, Cape Sounio is said to be where the Athenian king Aegeus jumped into the sea when he thought his son Theseus was killed by the Minotaur, thus giving his name to the Aegean Sea. It is also home to the Temple Poseidon, which was rebuilt in 440 BC after the previous structure was destroyed by the Persians. The North Aegean Islands are a loosely grouped series of 12 islands in the Aegean Sea. Located close to Turkey, these islands boast amazing beaches with golden sand and turquoise waters as well as picturesque villages and vineyards, though they are a little off the tourist trail. They include the islands of Lemnos, Ikaria, Lesbos, Samos, Chios, and Samothrace. Covering an area of 7,000 hectares, Oeta National Park (also called Oiti) is one of the largest in the country. 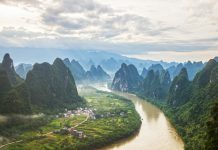 It is home to over 50 species of endemic plants, as well as many animals and birds, including roe deer, wild boar, brown bears, wolves and wildcats. The park also houses the Agathonos Monastery, as well as many ancient caves. This medieval fortress town was founded during the Byzantine Empire in the 6th century. It is located on a small island off the east coast of the Peloponnese that is linked to the mainland by a short causeway. Though only reachable by boat, the island was invaded successively by the Crusaders, the Venetians, and the Turks. It is known for its medieval churches and picturesque old houses. 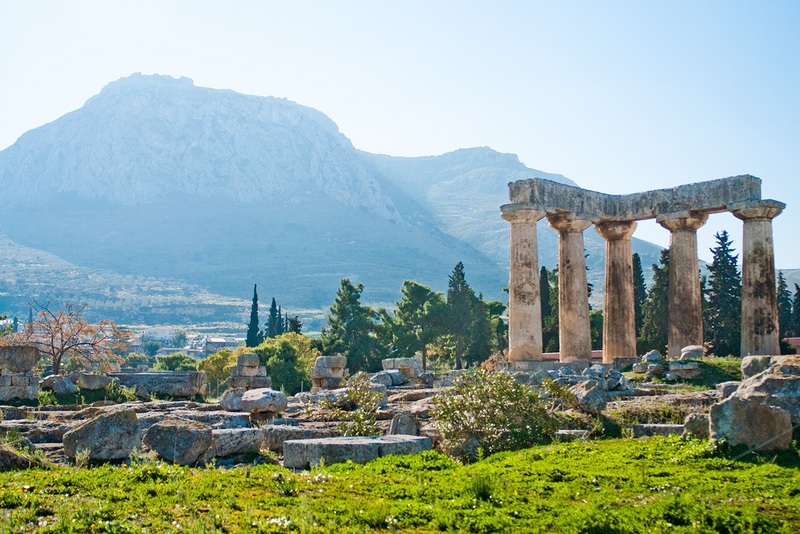 Corinth is an ancient city in Peloponnese which was once home to a thriving ancient city. Like so many other places in Greece, it has been inhabited by various civilizations over the years. Located on the narrow stretch of land that joins the Peloponnese to the mainland of Greece, it is home to many important historical ruins. These include the Greek Temple of Apollo and Pirene Fountain, a number of Roman statues, and the Byzantine citadel of the Acrocorinth. The old city was destroyed by an earthquake in 1858, leading to the establishment of New Corinth nearby.